No email nor registration required! 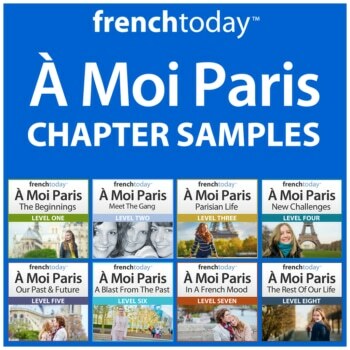 Study guide with unique tips on French grammar, French vocabulary and expressions (also recorded). This audiobook is exclusively accessible via our custom app (iPhone/iPad, Android, Mac, and Windows) which is completely free to download and feature some cool functionalities to create an amazing audiobook experience. Download Right Now no need for emails or registration!